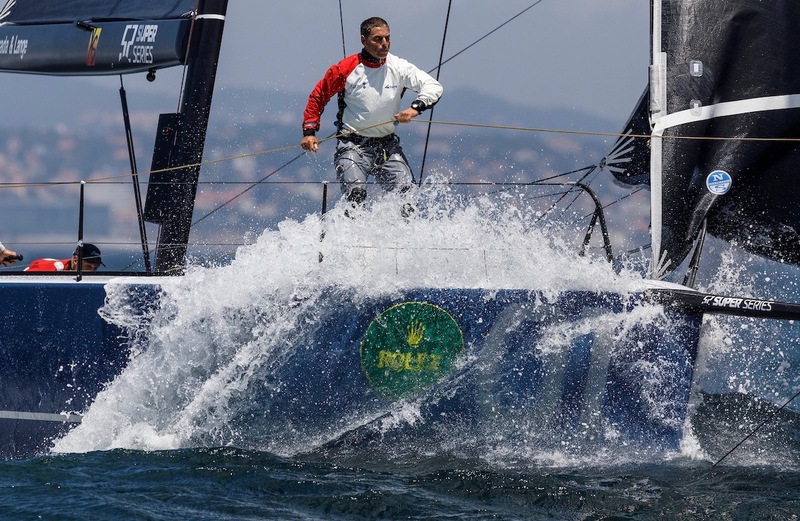 Quantum Racing carry a seven-point lead into the final day of the Rolex TP52 World Championship off Cascais, to all intents and purposes a relatively healthy margin, even with the expectation of two breezy last races for a nine-boat fleet. But Terry Hutchinson, the US-flagged five-time world champions’ hard-driving leader reaffirms, once again, that no margin can be considered secure, particularly given the strong-breeze, big-wave conditions, and the strength and depth of the competition. “No lead is comfortable. Never. We need to go out and apply the same focus and determination. We were two points off the lead going into the last race and so the memory is still there of what we need to do and how we need to execute. We don’t need to change our game plan and how we are sailing. The guys have the boat going really well, and so it is a matter of making sure that our boat handling is consistent and we hike like there is no tomorrow,” Hutchison said. 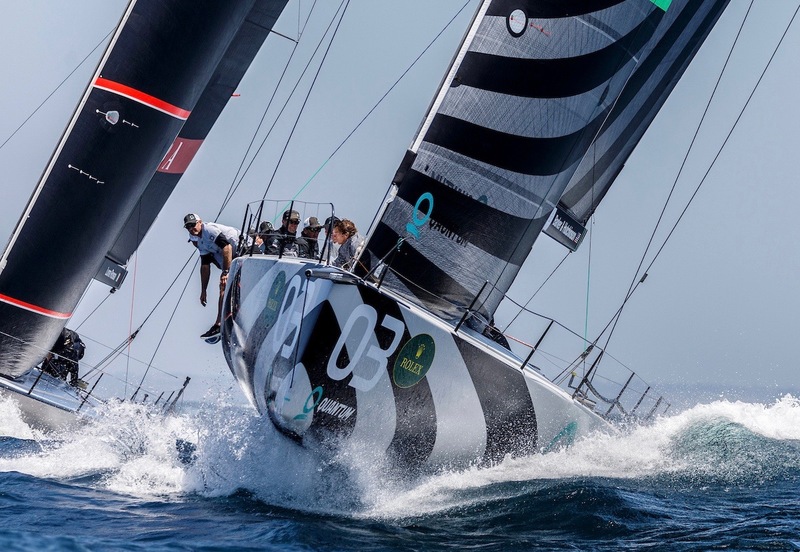 With the NW’ly breeze building to gust close to 30 knots, there were big gains and losses made over one of the most exhilarating days of racing for the TP52 class in recent years. Quantum Racing retuned a six-point aggregate for the day, going 5,1 from the racecourse, as did the Roemmers’ family’s Azzurra, sailing 1,5. Best scoreline today was that of owner-driver Takashi Okura, and the Sled team, whose 2,3 scoring included the outcome of a spectacular five-place – from eighth to third – 300-metre gain on the first run of the second race. In the first race, it was Azzurra that exploited the pin end favour to break up the early left and establish a very healthy lead around the first windward mark ahead of Sled. Luna Rossa made consistent gains during the race, rising from fifth to third. The NW’ly wind was at a brisk 22-23 knots on the start line for the second race. 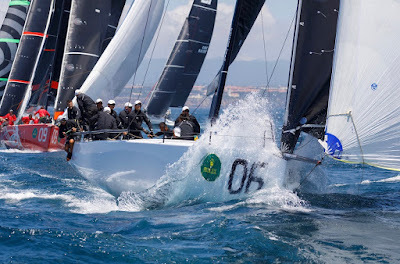 With Quantum Racing’s Dean Barker showing considerable skill and poise to hold onto a very slender lane off the line, sandwiched between Luna Rossa and Platoon, which they then turned into an advantage as the fleet later tacked onto port, and Quantum Racing gained leverage as the leftmost boat. Quantum Racing led Luna Rossa around the top mark with Provezza third. Platoon, by gybing early and going down the left of the run, made a huge gain to actually lead very narrowly through the leeward gate, making more than 150 metres back on Quantum Racing. 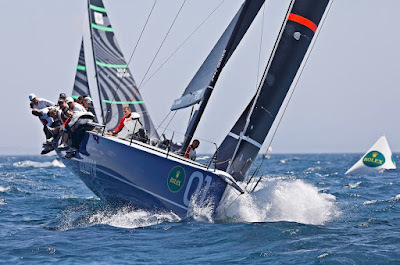 But Quantum Racing chose the right hand mark, looking upwind, and were able to get to Platoon and punish them with a series of tacks as the pair converged progressively with the starboard tack lay line. Quantum Racing took the win, their third of this Rolex TP5 World Championship, with Platoon second and Sled just nipping across the finish ahead of the fast charging Luna Rossa. 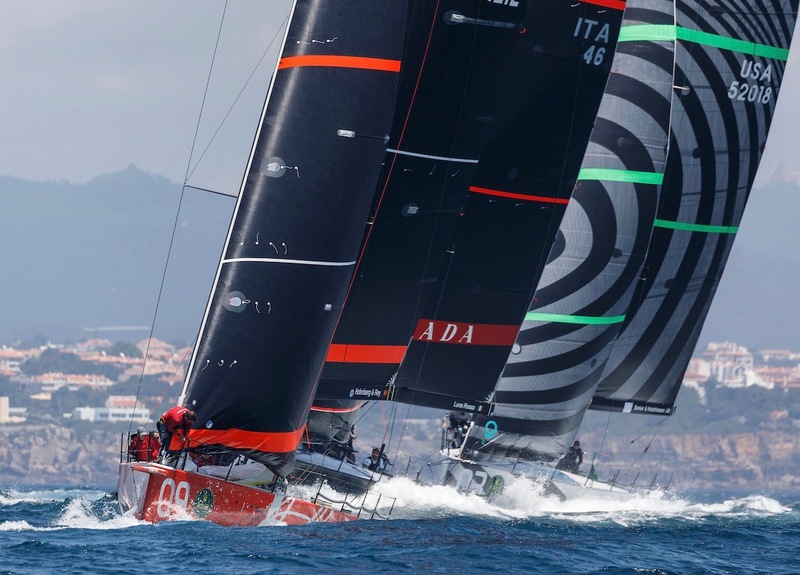 With two races scheduled Saturday, Quantum Racing lead into the final day with a seven-point lead over Azzurra, with Sled in third, 11pts behind the leader, and presently on course for their third consecutive podium at the three regattas so for of the 2018 52 Super Series.